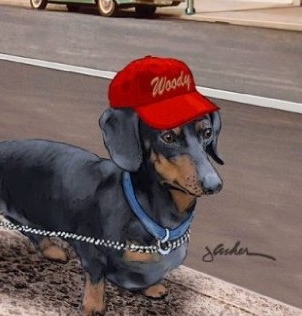 Woody, the Kentucky Wiener is published by HotDiggetyDog Press. Currently, eight books are on the shelves—the first three being rhyming stories with an underlying moral in every book. 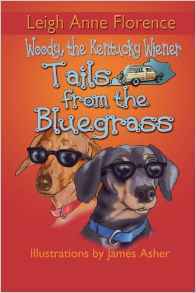 The rhyming books are all 32-page, soft cover, perfectly bound books, while both Tails from the Bluegrass I and II feature the pups traveling across Kentucky. 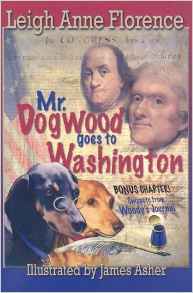 Mr. Dogwood Goes to Washington finds Chloe and myself in our nation's Capital. 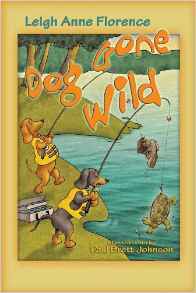 Dog Gone Wild chronicles Chloe and I learning how to survive in the wilderness and life. 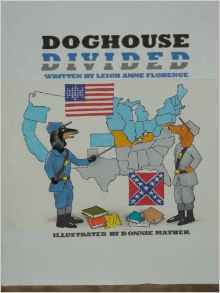 The latest book, Doghouse Divided, finds us learning about Kentucky's role in the Civil War, and the importance of respecting others. 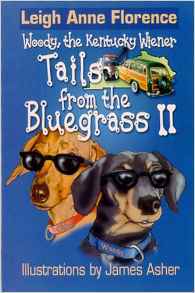 Tails, Mr. Dogwood, Dog Gone Wild, and Doghouse Divided are all 10-chapter, soft cover, perfectly bound books. In addition, an audiobook of Mr. Dogwood is now available. Follow along as the pups read the story! Chloe and I capture the heart of readers in each book! 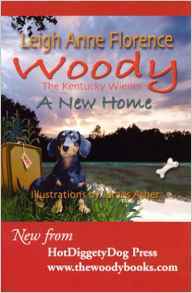 All titles in The Woody Series are $12.95. 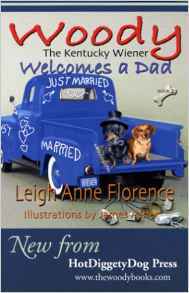 Orders can be placed through Woody's Online Store, Amazon, participating bookstores, or by sending in $12.95 plus $5.00 s/h (Kentucky residents add 6% sales tax) to the address listed on this site. You can also contact me at woody@thewoodybooks.com or my mom at leighanne@thewoodybooks.com. Currently there are 8 books in The Woody Series. 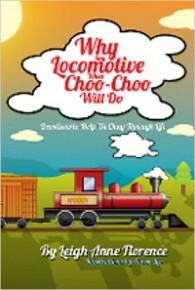 Mom also has an inspirational/devotional book titled WHY SAY LOCOMOTIVE WHEN CHOO CHOO WILL DO? 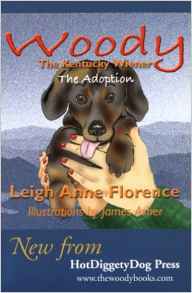 For more specifics or to order any of our titles, visit Woody's Online Store or visit Amazon.com.